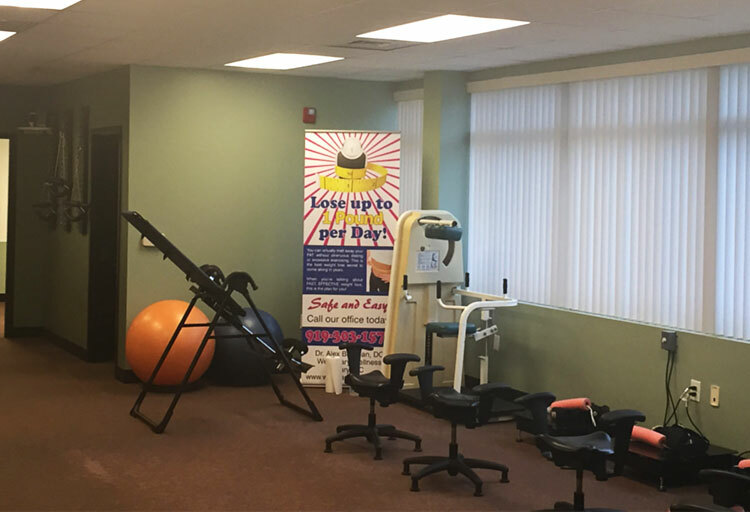 At West Cary Wellness, our philosophy is that correcting the body’s structural integrity is only part of the “puzzle” in achieving excellent health and wellness. Nutrition and exercise are the key pieces that many misunderstand as they try to make the Standard American Diet and lack of physical activity produce a healthy, well-functioning body. Our mission is to re-train our patients and equip them with truth about what the body needs, as compared to what society currently says we should give it, and how to apply those truths to help heal from the inside out. As Thomas Edison once said, “The Doctor of the future will give no medicine, but will interest his patients in the care of the human frame, in diet and in the cause and prevention of disease.” Let us help you meet not only your Chiropractic needs but all your nutritional needs as well. Dr. Alex Brennan earned his Bachelor of Arts degree from St. John’s University in New York. He then went on to graduate from Life University in Atlanta, Georgia with a Doctorate in Chiropractic. For two years he assisted the team doctors in caring for the athletes of the school’s hockey team, and worked for the chiropractor of the Atlanta Falcons upon graduating. Dr. Brennan has quite an accomplished athletic background. He earned a full four year athletic scholarship to St. John’s University and played on two ACHA national championship hockey teams while attending Life University. His vast athletic experience has afforded Dr. Brennan an acute understanding of sports related traumas and injuries. While athletics have been an important part of his life, family care and wellness are the major focus points of Brennan Chiropractic. Dr. Brennan currently travels thousands of miles each year to keep abreast of the most current and up to date chiropractic techniques and practice related seminars. He prides himself on educating and serving as many families as possible, while providing them with the best possible chiropractic care. Emily is a local girl, who grew up in Garner and graduated from Garner High. From a young age fitness was a big part of her life. She was a varsity volleyball player and was constantly looking for ways to improve her game, both through nutrition and training. She received her first personal training certificate as a teen and worked after school and weekends as a trainer at a local gym. She went on to earn her bachelors degree in Nutrition from Meredith College and did nutritional counseling for athletes post graduation. Wanting to delve deeper into health, Emily continued her education and became a Registered Nurse. Her love of nursing took her to UNC Hospitals, where she worked on the Trauma and Orthopaedic floor for 15 years. During this time she also expanded her fitness and nutrition knowledge, earning her CrossFit Level 1 certification and coaching CrossFit to both beginners and upper level athletes. Emily has now teamed up with her husband, Dr Alex Brennan, and they have combined their years of nutrition expertise to create West Cary Wellness’ weightloss program. Together, they have helped thousands of patients lose weight and regain their health. Dr. Daniel Keadle grew up in Raleigh, North Carolina and actually began his chiropractic journey as a patient at West Cary Wellness when he was 12 years old. He realized at a young age that becoming a Chiropractor would allow him to express his passion for loving and serving people better than anything else. He earned his BS in Human Biology from North Carolina State University in 2014 and then went on earn his Doctorate of Chiropractic from the Life University College of Chiropractic in the fall of 2017. As a youth, Dr. Daniel was an accomplished Tap Dancer, winning a National Championship in 2003. He also played football and lacrosse, lettering in both at Enloe High School in Raleigh, NC. He is now an avid golfer and fitness enthusiast. Off the field, Dr. Daniel was a volunteer Young Life Leader while at State and also plays multiple musical instruments. His wife, Lauren, is an Atlanta, GA native and is an elementary school teacher in Wake County. Dr. Daniel believes that the body was designed perfectly to be a self-healing, self-maintaining organism. He believes that true health is not about being symptom-free, but rather about reaching the full potential your body was created for. Through chiropractic care, proper nutrition, exercise, and mental health, he knows that goal is within reach for every individual. His mission is to share that message in order to create a happier, healthier, more vibrant community.